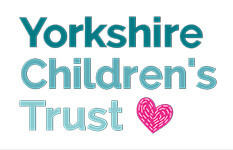 Yorkshire Children’s Trust is a small registered charity based in the heart of Yorkshire. It was set up by Simon Widdop, a parent who has a child going through painful treatment for Leukaemia. The charity was set up to help long term sick or disabled children all across Yorkshire with essential grants to pay for medical treatment or equipment, home modifications or a short UK holiday. If you would like to know more about the charity, apply for a grant or make a donation you can visit the charity website at www.yorkshirechildren.org or call 01422 728080 during office hours.